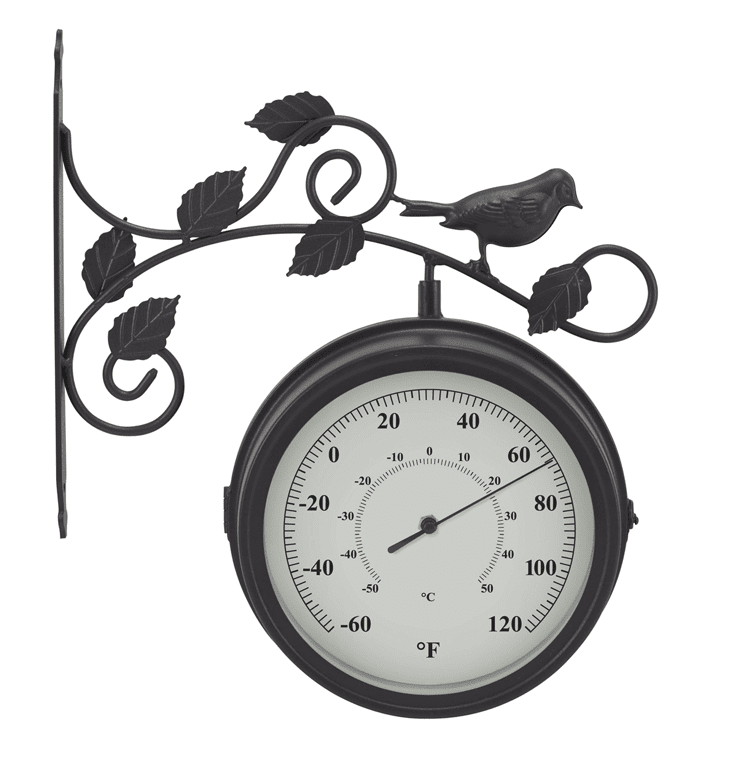 Keep track of time and temperature while outdoors relaxing or working in the yard with this combination clock and thermometer. Clock dial features twelve of the most recognized North American Song Birds . 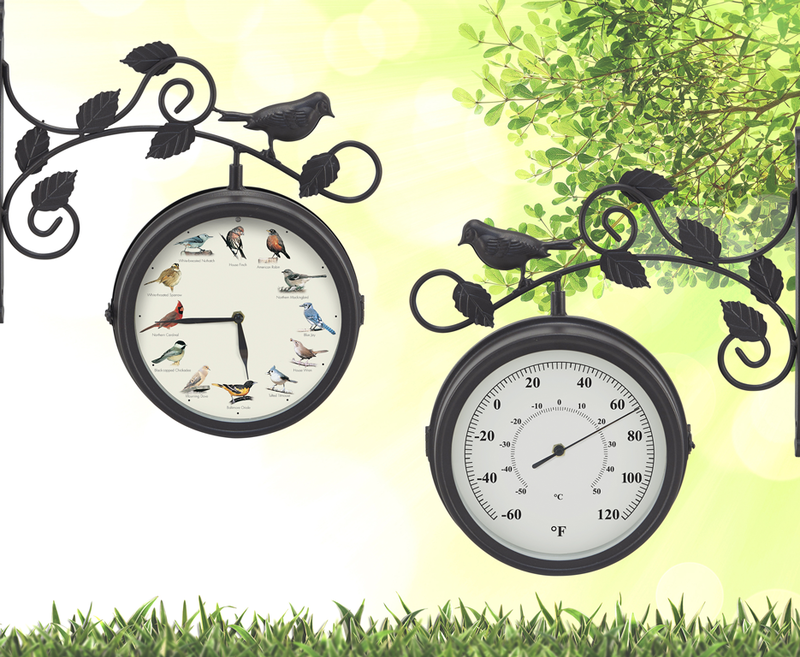 As an added bonus, each hour is announced by one of twelve corresponding beautiful bird songs, which are authentic recordings from Cornell Laboratory of Ornithology. The durable, weather-resistant design will make this a long-lasting accent piece as well as a practical addition to your porch, deck or patio!